Over the years I have come to the realization that as Christians, we are part of God’s family. Thus other believers are our brothers and sisters. In one way or another, we have a relationship with every other believer that we come in contact with. Like any other relationship, it takes work. The Bible is described as spiritual food from God to help us grow into mature Christians. Doesn’t that imply we need a daily personal relationship with God? Do you spend time with God regularly? But on top of that, since we all have a spiritual relationship with all other believers, how much work do you put into those relationships? God has given us a purpose or a ministry. Pastors are not the only ministers. You are too. Many people think that their ministry should only need to be one, two, or three times a week. Acts 20:31 says otherwise. Paul was teaching these believers every day for three years. That is a real relationship. Spending time together fellowshipping and encouraging one another. So many people desire to have a church like it was in the first century but then won’t put the effort required for it. These believers did not go to a church building every day. Paul was going to their homes every day to encourage them. Spending time together. 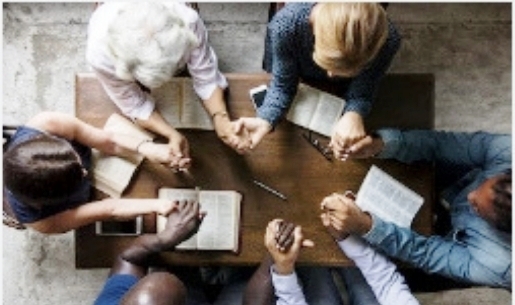 Matthew 18:20 says, “For where two or three are gathered together in my name, there am I in the midst of them.” Actually, that is the biblical definition of church. Matthew 18:17 even uses the word church to describe a body of believers. Church can happen anywhere at any time. It is true that God has given different ministries to different people, but I always wonder how many even know what their ministries are. Do you know what your ministries are? Paul shed tears over these believers. He put a lot of effort to warn them against false doctrine and to teach them what is right. He was personally invested in the lives of these believers. It is completely shameful that pastors and the congregation put zero effort in their relationships from Monday to Saturday. Why? Is it possible that we have a very SELF-centered materialistic life that we forget about the relationships that truly matter – our brothers and sisters in the Lord? Why don’t we love each other enough to care about the spiritual health of other Christians? Not just to browbeat them with a Bible over sin, but genuine concern for their spiritual well being. Do you have a Night and Day relationship with other believers?